Right out of college, Abby Wambach shot to fame in the United States soccer scene. In 2002, she was picked second in the Women's United Soccer Association draft by the Washington Freedom. She also became a leading scorer on the US Women's National Team. 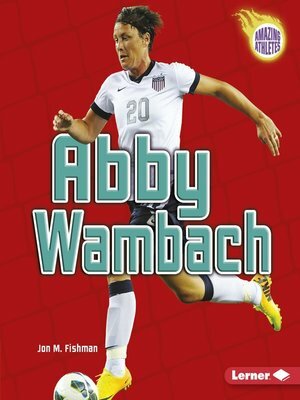 After winning the 2012 FIFA Women's World Player of the Year award and two Olympic gold medals, Abby is still going strong. She holds the world record for international goals. Follow Abby's story from her beginnings at University of Florida to becoming an international soccer superstar.